Welcome back! 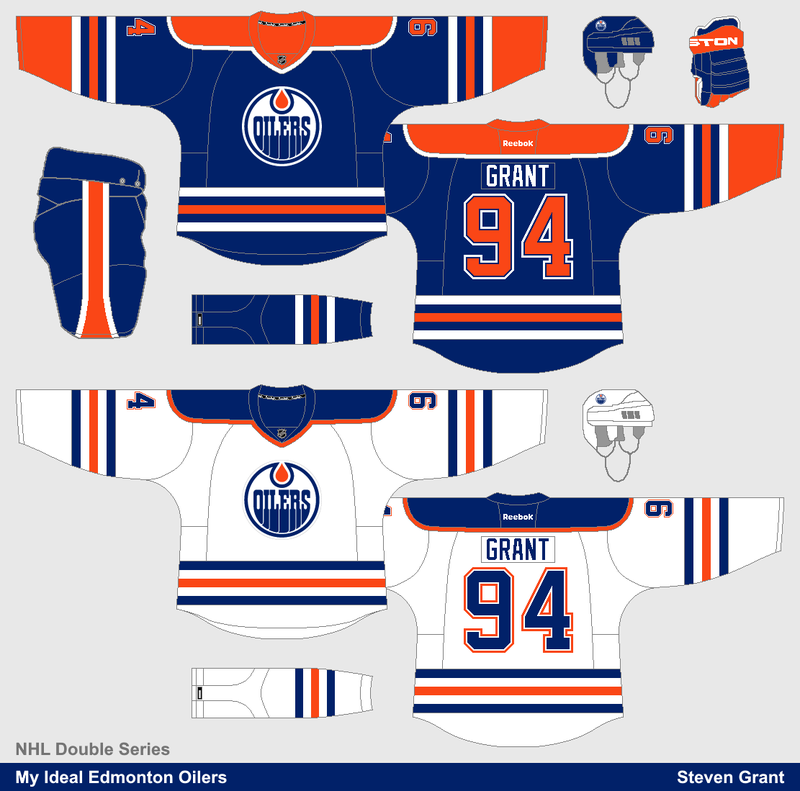 I've started a new NHL series with two concepts for each team, one concept is my ideal look for the team and the other concept is something new. The Oilers are up first. I didn't change much here, the biggest difference is a new collar design (which is inspired by their 1982-96 jerseys). I also made the whole striping pattern a bit thicker. For the second concept, I used an oil-drop shaped shoulder yoke, which droops down and contains the sleeve numbers. 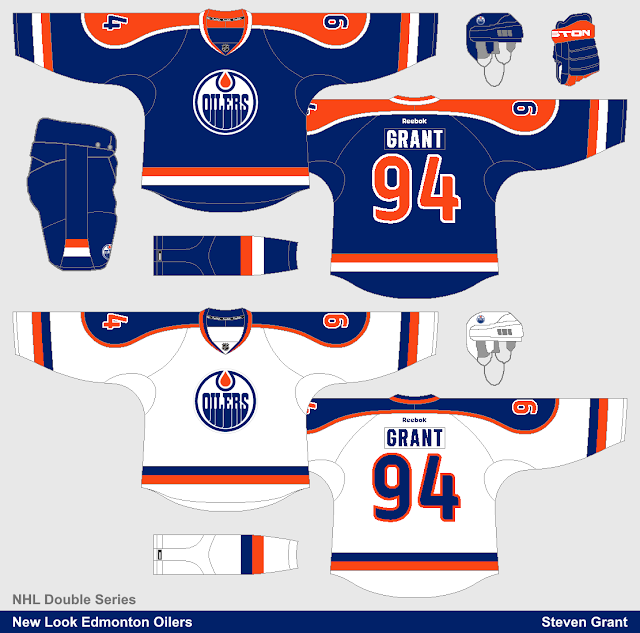 The number font is also new, and I tried something different with the pant stripes. That's all for now (by the way, it might be a while before I'm ready to post the next team).